Gather lots of RSVPs when you send out All Purpose Trees Black & White Postcards to everyone on your guest list! 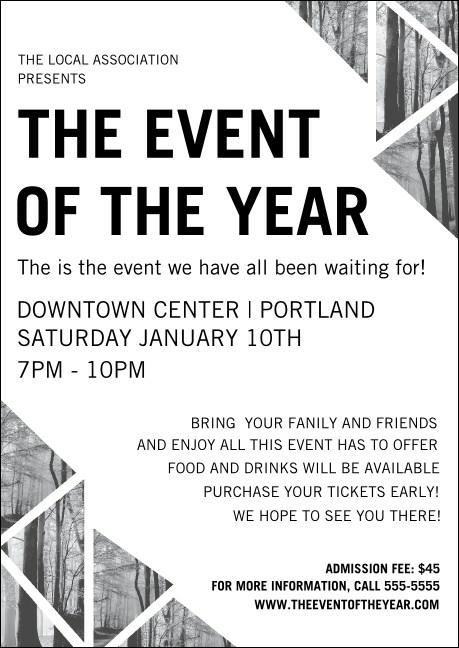 Excellent as a save-the-date, this sharp-looking postcard design presents all your event details in black and white. Cut into triangles, a photo of a forest adds a creative, modern vibe. Measurements are approx. 4.25" x 6"
Everyone will be excited about your event when they receive custom printed postcards! Shop a variety of themed designs on TicketPrinting.com.